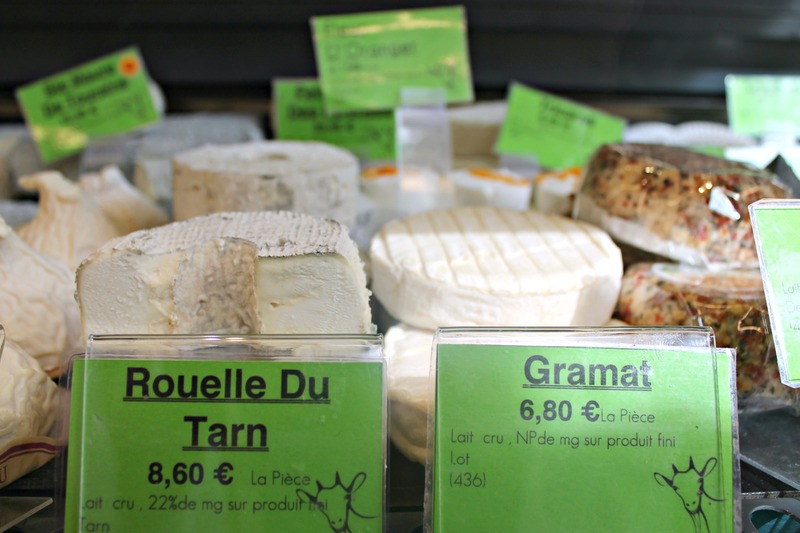 Food Experiences Guide to Paris - not your usual travel guide! There are hundreds of thousands of Paris Food Guides online – and since we visited Paris this past spring, who am I to deny you one more? This Paris food travel guide will be a little different than most – instead of telling you to go to exact places, I’ll be sharing what things you should experience while in the City of Lights. This past March 2017, my husband and I embarked on a Europe trip for a month, where we hit seven cities and the first one was Paris. It was also our first time traveling to Europe together (and my first time overall), so the planning of this trip took a few months. So much research and so many lists became part of my every day life – if you don’t know me, I’m the most Type A planner to travel with. Itineraries need to be made and printed before embarking on that first flight, reservations at hotels and restaurants need to be made – it might sound fun to some (hi my fellow Type A’s!) and not so fun to others (like my husband). So it’s funny to say that our trip to Paris, I tried to be as a relaxed of a planner as I could be, only making a list of places I really wanted to see – like the Eiffel Tower – and things I wanted to eat – like all the croissants, cheese, and charcuterie. I did book an Airbnb that was quite central to everything and walking distance to some of the best family-owned restaurants we tasted. It was located on Rue des Lyonnais and Francois was such a reliable and gracious host. See where we stayed while in France: Paris Airbnb – we recommend it 100%! Like I mentioned, this post won’t be referring to specific places (only two spots we loved SO much I need to share) but to experience I think everyone should have while in Paris. Experiences such as chocolate shops, steak restaurants, morning bakery runs, the Eiffel Tower at night, and much more. Who says we can’t start with dessert?! 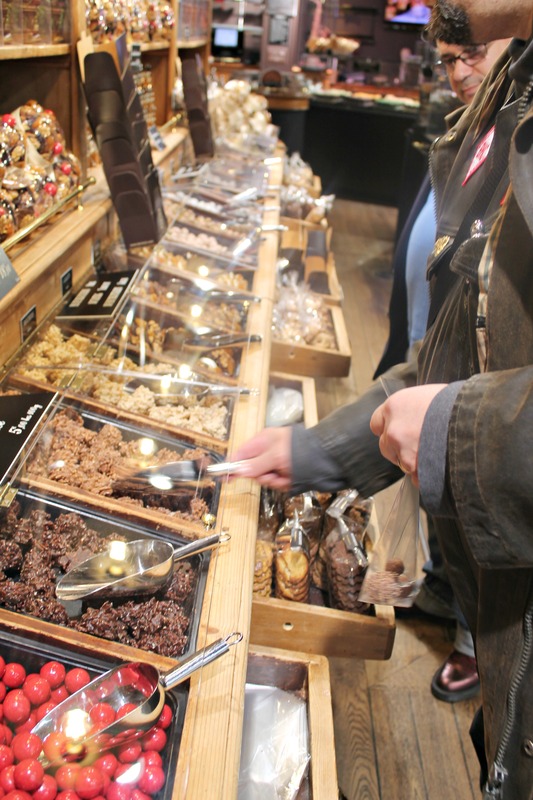 Paris is packed with some of the best chocolate shops in the world – you just have to know how to find the great ones! The easiest way to pick out a chocolate shop in Paris is by finding one that has the small sign “Meilleurs Ouvriers de France” or MOF. A competition held every four years to showcase and elect the best craftsmen and women in the culinary world in France, this phrase will be on the side of a pastry or chocolate shop, normally in small lettering and typically accompanied by the French flag. Granted, there are some incredible chocolate shops that their chefs have yet to become MOF’s, as it’s one of the most technical and hardest tests in the culinary world, but once you find them, they’ll be worth the time. Some of the best chocolatiers we visited in Paris included: Patrick Roger, Jacques Genin, Franck Kestener, Jean-Charles Rochoux, and pictured below, Maison George Larnicol. For this trip, I didn’t make any restaurant reservations. I wanted our meals to be spontaneous and with no pressure of having to calculate maps, times, traffic to get to those said reservations. But over and over again friends recommended les Relais de l’Entrecôte as a must meal while in Paris and who was I to not follow foodie instructions? Granted, reservations are not taken for this restaurant but honestly, the turnover of tables is quick fast so I think that walking in is fine, as long as you’re okay with waiting in line at peak times. We walked in at about 8pm and were seated immediately. Almost every table was filled, with the busting sound of French conversation filled the air. Now, about les Relais de l’Entrecôte – don’t go here if you’re vegetarian. They’re known for one thing and one thing only: their steak and fries. They’ll ask you how you want your steak cooked (medium rare, please), what will you be drinking (the house red wine is divine with the steak), and leave you to it. A mixed green salad with walnuts will come first and in about 10 minutes, your huge plate of steak and fries shows up. Covered in their secret sauce, this is melt in your mouth steak that’s so savory and delicious, you’ll want it to last forever. Until you realize it’s only half the portion – they keep the other half warm for you for once you’re done and bring the rest, with more fries if needed. A simple, yet indulgent meal that I recommend you ending with a plate of their profiteroles to share. 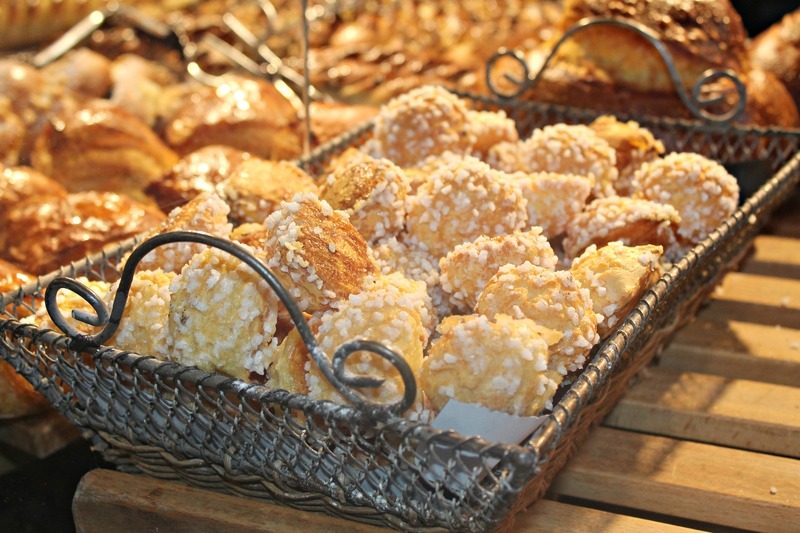 The best part of waking up…is walking to the bakeries for bread! European cities are known for their incredible breads and baked goods. While studying at CIA, my favorite and best chefs were the European ones, with their culinary knowledge from the “Motherland”, trained by other European chefs that were incredible. Thus, the bread in Paris is obviously amazing – the baguettes, the croissants, the kougin-amann, the everything! One of my favorite things to do while in Paris was waking up and throwing a coat on, walking to the nearest cafe to grab a baguette and some croissants for my morning coffee. Baguettes are so important in France that Francois, our Airbnb host while telling us the WIFI password, also told us where his favorite bakery was to get baguettes at. When baguettes are as important as the WIFI password, you can understand their loyalty to the pastry world. Recommendations for bread bakeries in Paris? Find yourself a list of whoever has won best baguette every year – tackle those first. But honestly, we walked into almost every one we walked by and the offerings were killer – all the times. Paris by Mouth has a where to find the best baguette list – quite extensive! Let’s be clear here. I’m the 32 year old blogger that’s in bed by 8pm when I’m not working at the restaurant. Almost daily during the off season, by 8:15pm I’ve taken a hot shower, have lavender oil diffusing, and have a cup of tea ready to go. 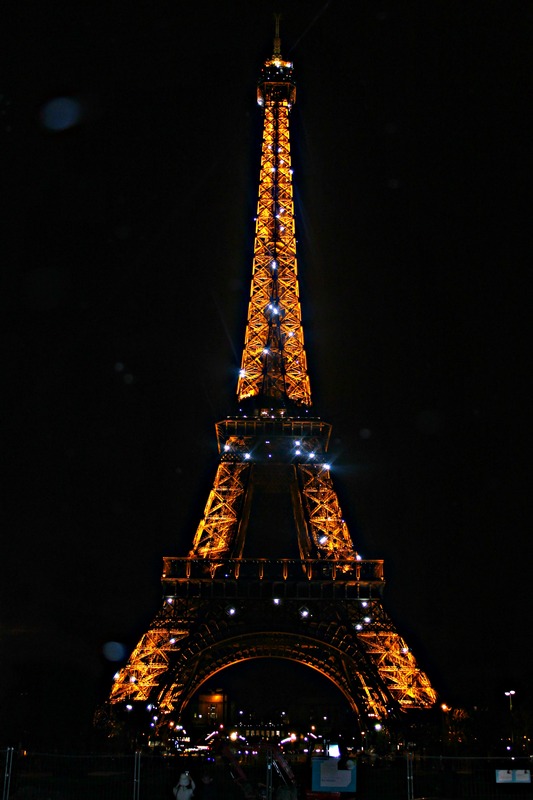 In Paris, make it a goal to go see the twinkling Eiffel Tower at night, no matter how sleepy you are. It’s such a special moment – it was raining lightly and was honestly such a romantic moment. The one thing you’ll miss the most…the markets! 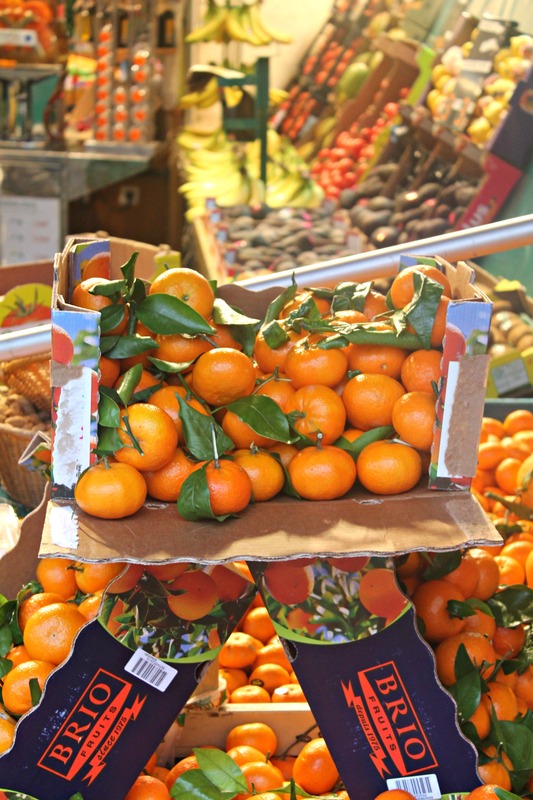 Oh the markets – the outdoor markets, the regular supermarkets, the weekend special markets with the artisan producers from the smaller towns on the outskirts of Paris. Every kind of market will blow your mind away – from the smallest street markets to the grandiose food markets. 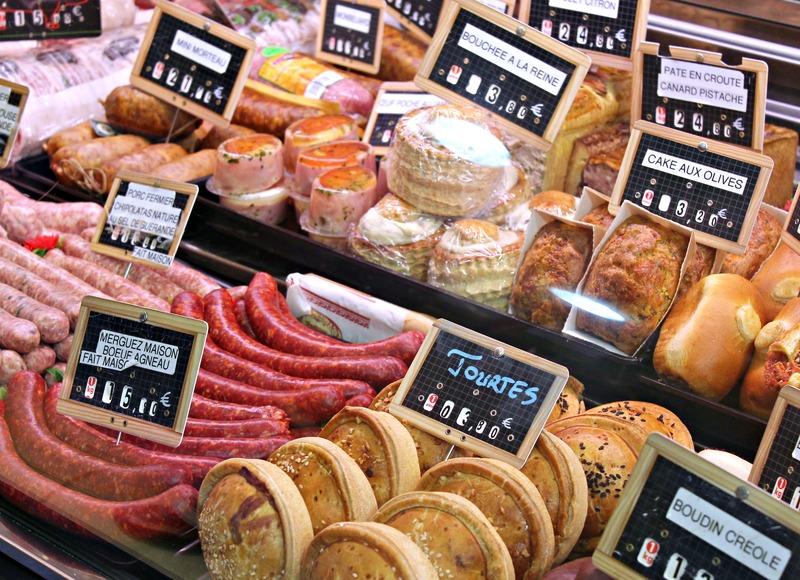 Everything from produce markets to cheese, wine, meat, and seafood markets galore! On the nights we wanted to stay in, we’d stroll the markets in the afternoon, collecting ingredients to make dinner at our Airbnb. Nothing is better than staying at an apartment with a kitchen, because if you love cooking – it’s a dream to shop for ingredients in Europe and cook on your own. There are hundreds of markets in Paris, but our favorite one was actually a five minute walk from where we stayed – the Rue Mouffetard market. It dates back to medieval Paris and as you stroll down the street the sights and sounds of the market, which opens early morning until the afternoon, you’ll be delighted. For more extensive lists of Paris markets, check out this best food markets article by Culture Trip and a local’s guide to best food markets by Vogue – both great lists of markets in the city. If it’s your first time in a new city, taking a walking food tour might just be the best experience to partake in. We took a Paris Food Tour with Secret Food Tours one our second day there (it’s best to take the tour early on your trip, as it gives you a quick lay of the land for the next few days) and our tour guide PJ was hands down the BEST food tour guide we’ve ever encountered. Not only was he local to the neighborhoods we explored (he said hello or waved goodbye to about a dozen people while on tour), he was friendly, approachable, and charismatic. Our tour was closer to the 4 hour mark and we visited: a chocolate shop, a bread bakery that had won best baguette the previous year, a charcuterie market, a cheese shop, a wine store, a macaron shop, and ended up in a local bar where he then proceeds to have us taste a variety of products he had collected on our tour. We then tasted 5 cheeses, 4 meats, and sipped on a few bottles of wine while getting to know each other. A dream food tour, we recommend it 100%. If you’re in Paris for more than a few nights, you’ll definitely find some favorite spots. Maybe you’re at traveler that doesn’t repeat spots – and we’re typically this type as well. But when we stepped in La Releve, we knew we had found a hidden gem – which translated into us coming back for dinner three times in the week we were in Paris. Yes, we could have tried new spots but became so enamored with this spot, the owner, and obviously the food, that it was a given. The best thing we had their? Aligot, a potato dish that’s equal parts Comte cheese and mashed potatoes – click here to see my Instagram photo of it. Located in the 5th arrondissement in the Latin Quarter, 71 rue Mouffetard. A must while in Paris, the dishes are served as small plates so order everything – twice! As you can see in the photo below, wine is inexpensive in France. Not just any wine, but great organic wines can be found by the bottle at times for under 5 euros! If you’re a wine lover, make sure to scout out the small, local wine shops, where the owners are sipping on wine and will let you taste whatever is open. This article by Forbes “Uncorking Paris’ Best Wine Shops“, is a great read on wine shops in Paris. As promised, I hope this wasn’t the usual travel and food guides and more of a checklist of experiences you should enjoy while visiting Paris. It was the first European city I visited and stepping off that plane for the first time and hearing the French accent, the delicious smells of chocolate and freshly baked bread, and the smiling faces (the French are actually very helpful!). If you have the opportunity, visit Paris – and a quick travel tip: download apps like Hopper, which help you set dates and keep a watch on flight prices, letting you know when to buy (lowest prices) or if you should wait for lower prices. It was a lifesaver on this trip! I hope Paris is on your bucket list – I’m happy to have crossed it off mine with these amazing experiences. Bon voyage! 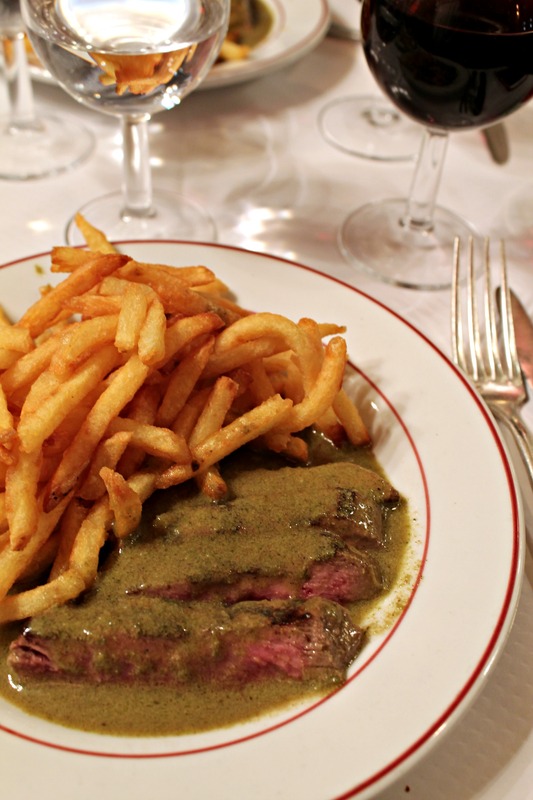 Lovely foodie recap of Paris! I’m not a “city girl”, but as cities go, Paris is one of my favorites! Your post had me reminiscing and longing to return. Fresh bread runs in the early mornings are the best!! Two trips ago to Paris, I was still eating meat and cheese. I do recall one of our favorite meals was a rotisserie chicken we purchased from a sidewalk vender. We opted for the potatoes and onions from the bottom of the rotisserie oven. They’d been cooking in chicken drippings all day. We grabbed a local bottle of wine, a baguette, a picnic blanket and heading to the park. It was every bit as delicious as some of the expensive meals we enjoyed other nights. lol I am looking forward to returning to Paris soon! Thanks again for this lovely and delicious post! I’m so happy that you spent time in the Latin Quarter/ around rue Mouffetard — it’s one of my favorite places in Paris with so much culture and history (and great food & boutique shopping) and so so many great memories!! Marnely, You have made my day. I was born and grew up in south Louisiana, four miles from Avery Island, Louisiana (Tabasco pepper Island) in a small town, New Iberia, LA. I am Cajun and have enjoyed great food all my life. My daughter Stacy has lived in Paris. She is a fabulous cook and followed my mother’s Cajun cooking skills. I have been to Paris four times and your blog was like another visit for me.